Before creating a website for an online store, you should familiarize yourself with the term "domain". For those who hear this term for the first time, a domain is the address of a website that distinguishes it from all others. This is the name of the website, which we see after "https: //" in the address bar. The domain is attached to the hosting. Hosting is a place on the server that a certain company provides to you. Without a close connection of these two factors, your site will not be available for general viewing on the World Wide Web. It may seem that the domain is not so important. Domain does not matter, as long as your website or online store is not particularly popular, but in the future, a domain name can seriously affect the image of your brand. Plus, the domain should match the name of the brand or online store. Nuances are many, let's deal with how to choose, buy, register or change the domain. Choose a domain name for a site or an online store is not difficult. You need to take the name of your company / brand / store and transliterate it - write in English letters. The main thing is, take the choice seriously, just as you took the company's name. There are cases when the domain name you have chosen is already occupied, well, there will be a little sweat: either change this name completely or play around with the choice of the zone (.com, .net, .org, etc.). do not pursue the cheap domain, because often it happens that a cheap domain name is already registered for someone and you will not own it. Buy and register the domain is only through proven services and companies. It is best to contact the company that sells both domain and hosting right away. Registering a domain is easy enough. 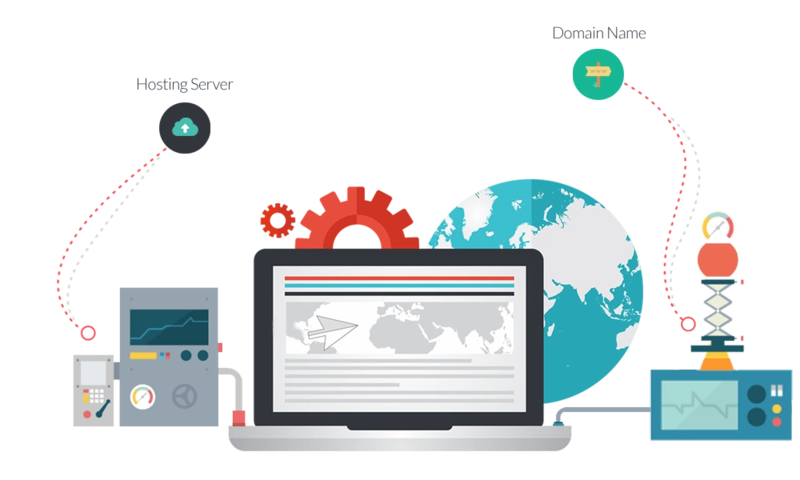 If the domain name turned out to be free, then it is enough to register an account with the domain name registrar, replenish the account and wait 5-10 minutes. The domain will be available for use after you specify its hosting in the interface of the registrar itself. You can make such a procedure yourself, but you can apply directly to companies that specialize in this. During registration, you pay for the domain, its price depends on the tariff you have chosen. There is a payment for the domain name itself and then payment for the use. It can happen that the domain is unsuccessful or you just decided to change it. This process is not painless. Unfortunately, it's impossible to transfer the site without loss of traffic. It is for this reason that we urge you to select the domain very carefully. prepare a mailing to your customers about changed contacts and a new domain. In fact, you need to move the whole website completely, and this is not easy. In this case, it is necessary to trust professionals such as SoloMono. We hope our article was useful to you. Good luck in all your endeavors!